"Latino America is a huge colony of countries whose presidents are cowards in the face of economic imperialism." "Immortal Technique (IT) is considered, today, one of the leading underground hip hop artists. Before pursuing this post, I read over some of the content published online about individual impressions of Immortal Technique. 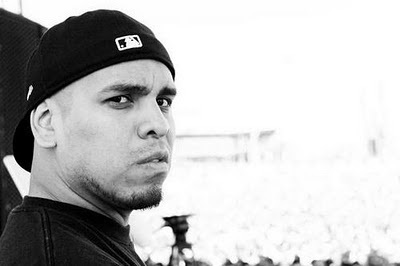 Steve Greaves writes here that, “Immortal Technique will vanish like all other would-be-creatve mortals if he doesn’t apply this insight to his craft with consistency.” Throughout, he makes it clear with unexplained comparisons and empty context-less analyses of Immortal Technique’s CD Revolutionary Vol. 2 that he is bound to approach an unavoidable downfall with his over-agressive style, and potentially ruthless lyrics. As this content analysis will yield, IT is beyond any reviews such as Greaves. Lyrical Transcript: Most of my Latino and black people who are struggling to get food, clothes and shelter in the hood are so concerned with that, that philosophising about freedom and socialist democracy is usually unfortunately beyond their rationale. They don't realize that America can't exist without separating them from their identity, because if we had some sense of who we really are, there's no way in hell we'd allow this country to push it's genocidal consensus on our homelands. This ignorance exists, but it can be destroyed.